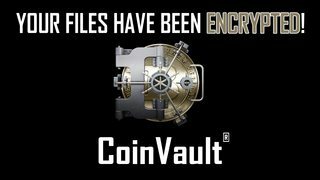 New CoinVault ransomware from the same family as CryptoGraphic Locker. Encryption and decryption performed by same executable. 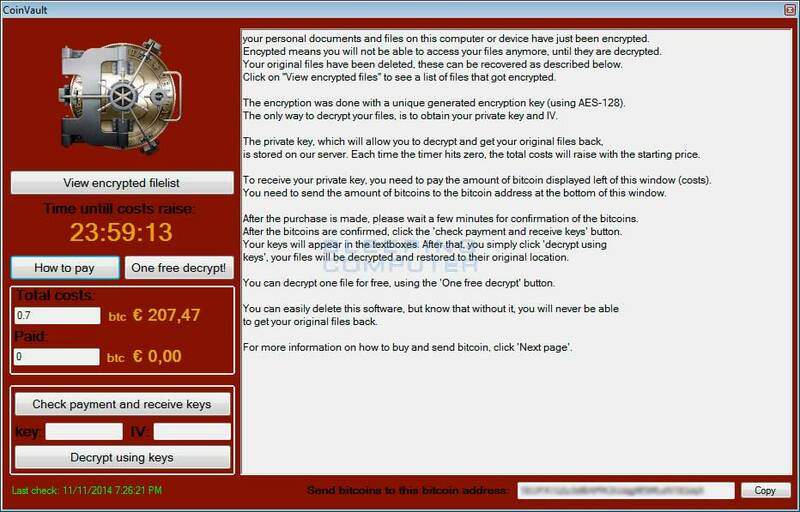 Appears to use AES for encryption. Fresh samples (dropper + payload) attached. Hey, I'm new. Couple of questions regarding this specimen. Is it normal practice for things that get semi-big to be written in a .NET language, like this sample? Is it normal practice to have all of your functions stored as bytes, and then decrypt that at runtime? likeamirror wrote: Is it normal practice for things that get semi-big to be written in a .NET language, like this sample?